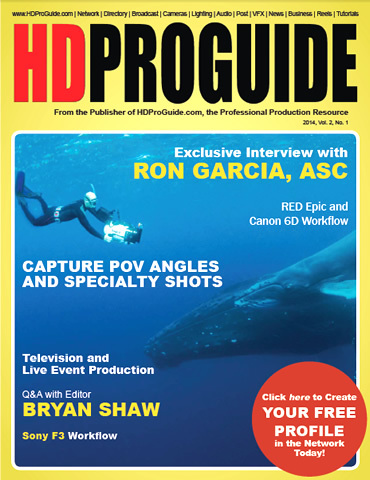 "HD Pro Guide Magazine is a brisk, eye-popping, skills-driven, counter-intuitive foray into next-gen video and film with savvy advice on gear and tricks-of-the-trade. A must-read." ~Bill Vartorella, Craig and Vartorella, Inc.
"HD Pro Guide Magazine keeps professional filmmakers informed of new technologies with selective and pertinent articles that are crisply written without the usual extraneous wordiness seen in similar magazines. In addition it connects professionals to a community of media makers who not only care about the quality of their productions but who use modern technology to communicate the good values needed to make our world a better place." " I am often looking for other people's experiences with equipment and techniques in the many forums out there on the internet, so it’s great to have a place like HD Pro Guide Magazine where professionals can share their unique talents and production experiences, like Joe Capra's time-lapse techniques in Iceland." "The HD Pro Guide Magazine looks great! I would love to look more on rentals ads, promotions, and packages from rental houses like CSI." 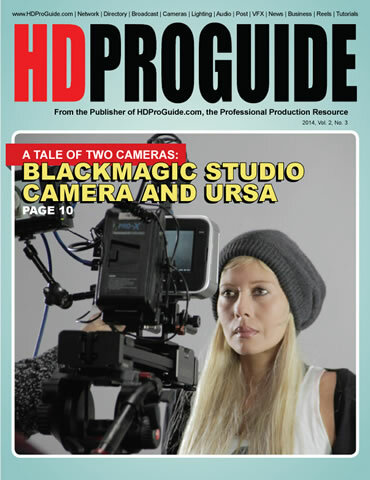 "I just finished the premier edition of HD Pro Guide Magazine, and I have to say, I'm impressed, it's a fast read, full of great info about the latest in new equipment, tons of interesting production tips and some solid inside industry knowledge. Kudos to publisher Kim Welch and editor Jody Michelle Solis for coming up with a fast read, entertaining and educational print and online publication." "I have been an online member of StudentFilmmakers.com for many years and recently discovered their new HD Pro Guide Magazine [produced by the same publisher], which is fantastic. The articles and interviews are a great insight for filmmakers from every level. I'm a filmmaker with a fair few films under my belt, and like everyone, I started from scratch, and I'm always discovering and learning new things. A magazine like HD Pro Guide Magazine is a way to do that. I recommend it to any filmmaker and anyone who is in the film industry."